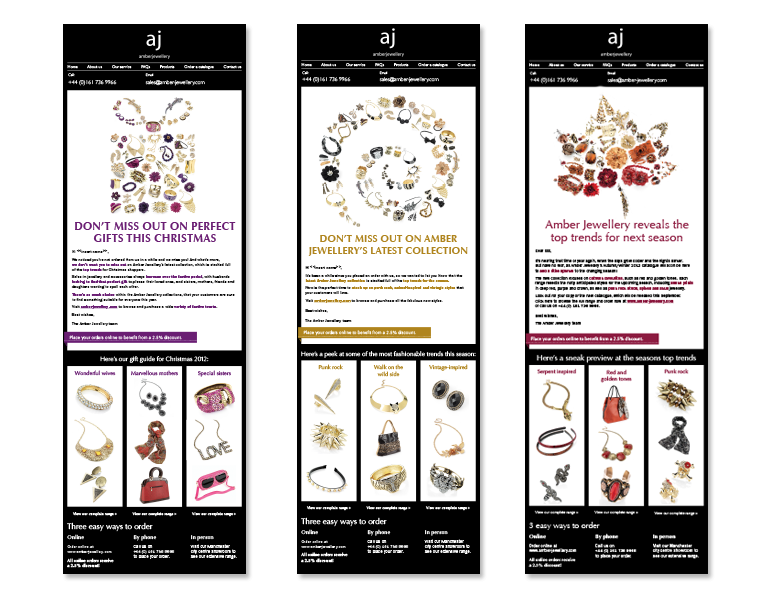 Our designers are a dab hand at creating lovely looking emailers. But, we don’t stop there – we measure, monitor and refine. Then, if needs be, we repeat that again and repeat it some more. That’s the beauty of email marketing. This is precisely what we did for Amber Jewellery. Following hot-on-the-heels of a successful ad campaign, we got in touch with customers, old and new, through a series of simple emailers. We told them about offers, new products and ultimately tempted them to click through to the website and purchase!